Spring weather has finally arrived in Cleveland just as spring break comes to a close. 1. Before Easter break, Mr. Royski and Mrs. Karakasis took thirty music students to the Rock’n Roll Hall of Fame for a special class. Student teacher Ms. Russell also joined them. 2. On Holy Thursday, the theology department and campus ministry students presented Stations of the Cross for the entire school community. The powerful reenactment was a fitting way to end the week before heading off to Easter and a week of vacation. 3. Cody Walters, Chanel Class of 2011, was named Mid-American Conference Freshman of the Year for wrestling. 4. The final Chanel Hall of Fame took place on April 7, where Ken Siddon, Class of 1969, Rev. Richard “Rick” Matty, Class of 1973 (deceased), and Brandon Childress, Class of 2000, were inducted into the Hall of Fame. 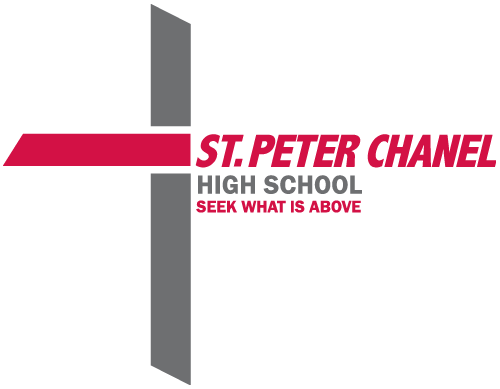 Also Evelyn Golding, current parent, alumni parent, and cheer and dance coach, and Nick Urban, head soccer coach, were inducted into the Society of St. Peter Chanel. Congratulations to all!